October 26, 2018 Studio Happenings and Introducing Hardy’s Coffee Bar! If you’re reading this, you’re on our ✨New✨ website! I hope you’re enjoying the new design! Our web designer worked very hard to make this website tell our story of who we are and what we love to do! We’re so thankful for that. We’re already a few weeks into the fourth quarter of 2018, which is insane! Christmas is only weeks away and we’re gearing up for it. Now is the time to stock up on gifts, and CUT has the PERFECT gifts to give! Everyone LOVES the Arrojo ReFinish Dry Shampoo and you truly cannot go wrong there. We also have minis of all cream based product, shampoo & conditioners, and the dry shampoo for the most coveted stocking stuffers. We will also have a limited amount of product in gift boxes for men & women! Come in and shop while supplies last. Everyone loves gift certificates too – which can be purchased for any amount. Our NEW sister-company (right next to CUT), Hardy’s Coffee Bar, will be opening this fall as well. Once it’s open you’ll be able to get your hands on the finest quality beverages we could possibly offer. This is a dream of both mine and Peach’s to create our very own Coffee Bar for the community to come as a sanctuary with top of the line third wave coffee. It’s almost ready for you to see, but we promise it will be worth the wait. Please check out the Instagram ( @HardysCoffeeBar ) and website (hardyscoffeeco.com)! Here’s the best part… all CUT clients will receive one complimentary beverage of your choice when you come in for your appointment. OMG, right?! I’m just as excited as you are. This will be good for anything from our excellent drip coffee, anything espresso based, our delicious tea selection, as well as our hot chocolate. So make sure to let us know what you’d like to drink, we will place the order and then bring it over to your client station where you’ll be during your visit with us. Yay! Last but not least.. the topic of education. To keep you in the loop I’d love to share what the CUT team has been up to behind the scenes. As you know, we LOVE education and it is in our blood here. Our entire team went into NYC overnight to Arrojo Expo 2018 (Brooklyn & Tribeca) a few weekends ago for two full days of inspiration, new techniques and learning the trend projection Arrojo has to offer. This was a great weekend of bonding for our team as well as rubbing shoulders with the industries finest. Lauren and Julianne went into NYC Arrojo SoHo last weekend to attend Scissor then Razor – a two day certified class. Lauren will be attending the Retail Success class in November to gain more knowledge and inspiration on our exclusive line with Arrojo, which is a great class that we all have attended! And to top it all off, our apprentices have all been working their tail off in an intensive three days a week of training with world renown educator and hair designer, Tracey Smith. We have had her in CUT to educate our girls each day with live models, demos, and thorough training to get them on the floor as designers for our holiday season. We’ve been working hard to perfect our craft to bring you the best hair designs that are up-to-date, wearable, and on trend. I will have the honor of being on stage next to Nick Arrojo again for another Happy Monday’s in Arrojo Tribeca this December. This is a two hour look-and-learn demo for other hair designers in the industry to attend. I’m hoping to provide a new approach to my live cut on a model, as well as inspiration for these designers to take back to their studio to try on their clients. This is a great opportunity and I’m really looking forward to it! 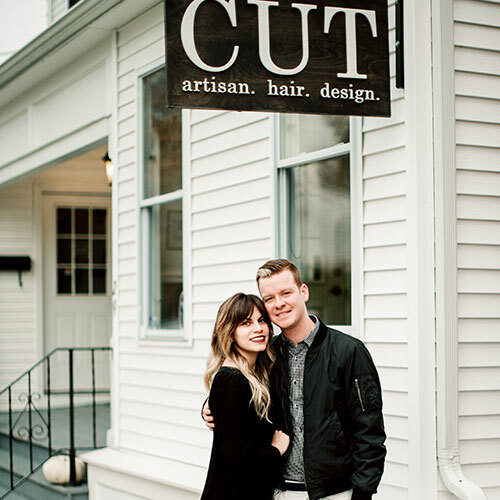 April 19, 2018 CUT is Expanding! I think it could be safe to say spring is here! It’s the moment we have all been waiting for here in NJ and a moment that felt like it would never get here! At CUT we have some really cool things happening, so let me fill you in with what’s been going on. 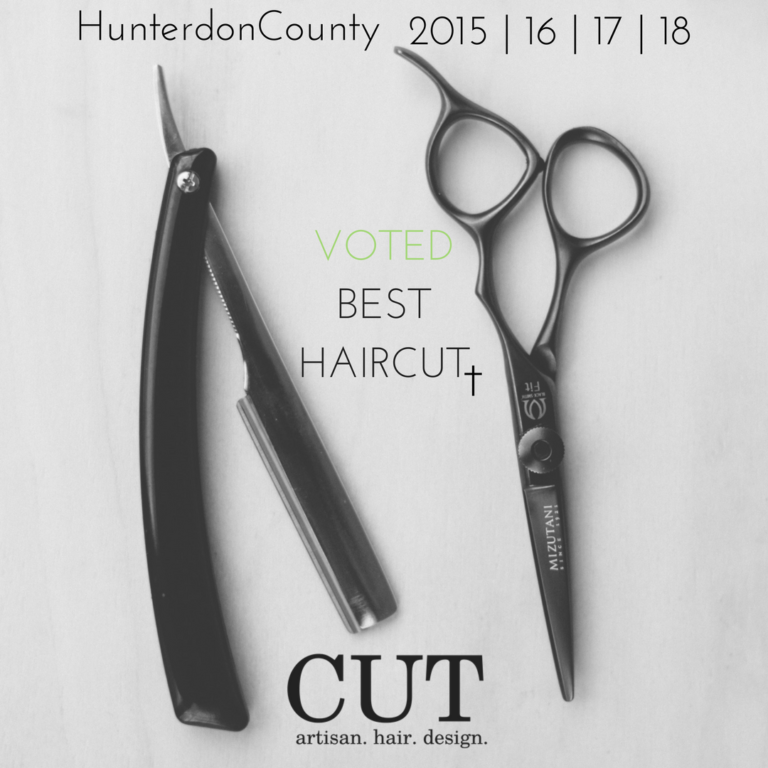 Thanks to all of you, we’ve won best haircut in Hunterdon County for the 4th year in a row! We truly couldn’t have done it without you. It’s an honor to be voted and hold this title for four consecutive years. We appreciate you! The designers AND apprentices at CUT participated in our annual photo shoot with our photographer, Sam Nichols, just a few short weeks ago. You’ll be seeing these photos blown up and displayed in CUT in the months to come, but until then we can share some sneak peeks with you on our Instagram and Facebook accounts, so make sure to follow us! Last but certainly not least, I’m pumped to make this official announcement. CUT will be expanding! You heard me right, CUT has occupied the space next door and has gotten permits approved to knock down some walls and grow our intimate space. We’re thrilled to be growing and look forward to what will become of our space. After 5 years of being open and serving our community, it only makes sense for us to expand our walls to invite more people in. We’re so thankful for the business you have all given to us these previous years and look forward to this next step in our journey with you. More news and progress will be in the weeks and months to come, but until then stay patient and connected with us!  s challenge, but want to make you aware so you can be best accommodated. Please feel free to reach out to our client relations to reserve your appointment time now 501-444-2884 (you may text or call). February 26, 2018 Spring Has Almost Sprung! March, already! Unless you know me personally, you probably don’t understand the severity of the joy in my heart when it comes to spring. I see March creeping closer and closer and my insides literally get warm from the comfort of knowing spring is just around the bend. As a lot of you know, I made the plunge and put up a live video of me doing a hair curling tutorial on myself via Facebook live. I kind of rambled for thirty minutes but seem to have received amazing feedback from you guys! Thanks for the encouragement on that, I will do another live video soon. So please comment below and let me know what kind of DIY hair help you need! A few exciting things are happening this spring for the CUT team. We are going to all be going into the city as a team for Happy Mondays @Arrojo SoHo in the beginning of March. I taught at the Happy Mondays in the month of January which was amazing so I’m thrilled to go back in and learn more with our entire team! We also have our annual photo shoot lined up and ready to go. These are incredible, they breathe inspiration, creativity and energy into our team. All of us will style the hair of a few “models” that are actually clients directly from CUT! Our NYC photographer, Samantha Nichols, literally slays the project with us every time, so to say we’re all looking forward to this is quite the understatement. Stay tuned for glimpses into that shoot throughout the months to come! Also, a gentle reminder, this is the season for proms, weddings, special events. Make sure to book your appointments out with plenty of time because our books fill very quickly, weeks in advance. Please feel free to text or call 501-444-2884 to get you appointments booked for you ASAP! Love is in the hAIR! Yes you heard me right… it’s in the hair. As we roll up to the month of February, us ladies have one thing on our mind: Valentine’s Day. Ok, so that’s actually not true at all for majority of the population, but let’s go there for a minute. Marriage is personally my favorite thing on the planet. I’m blessed to be married to a rock star husband who adores me almost as much as I adore him. He is the one guy who I spend all my spare time with (and my time at work too), so I desire to do my best to look good for him. Sure, for myself too so in return I feel better, but for him who has to stare at me for the next 70 years on earth. But trust me, I’m confident that he would love me even if I lost all my hair and had a lumpy head! You may have heard me say this before: as women, our number one accessory is our hair. We wear it every day, it’s visible to all people and takes some effort in one way or another to polish up. Whether you’re trying to look good for the one you love, for yourself, your job or just because you like styling your own hair, it’s important to invest in it. A great cut and color can make you look your best, boost your self-esteem and make heads turn! With Valentine’s Day right around the corner, I had to make this post somewhat relatable to that, hence the marriage talk. However, in love or not in love, come in and get spruced up as a treat to yourself. It’s the final stretch to spring and we want to help you get through this winter slump! December 21, 2017 A New Start for the New Year! Doesn’t it seem like yesterday that we were ringing in the new year? Here we are again, getting ready to celebrate the change of our calendars from 2017 to 2018. There’s something liberating about the new year for me. Sure, as my dad says, “It’s just another day”, but I believe it’s a start of something new, or saying goodbye to something old. Change is beautiful, and in the new year there’s a lot to embrace. It seems like now a days there are fewer and fewer people making New Year’s resolutions, but I’m one of the few that still do. Of course the top of my list is eat better, work out more, spend less time on my phone and more time with my husband, travel more… sounds familiar, doesn’t it? I don’t want to pressure you, but what if it’s time for a change with your hair? (Of course I need to take it there- that’s my passion). We could all use something new.. a few pieces of balayage to add dimension within the hair or maybe it means adding a gloss that’s just a few shades darker to make your eyes pop? How about a new cut?! Or a fringe, which is all the rage as it is most winters, different variations of course. I believe change can help me get through this winter slump that I fall into each year. Physical change can be an added benefit because when we look good, we feel good. Go ahead, you have my permission to click away from this post to call or text CUT and book your appointment. As for me, I’ll be kicking off the new year in NYC with Nick Arrojo and his team. I will be teaching on stage in front of many other hair designers and industry professionals for an event they call “Happy Mondays”. Happy Mondays fall on the first Monday of each month and are hosted at Arrojo Tribeca. They’re two hours of packed education from extremely talented hair designers. Our whole crew will be there cheering me on and gaining education themselves. Speaking of education… our “Education Tuesdays” for our apprentices were on hiatus for our holiday season but kick up in full gear come the new year. Our designers are also signing up for some incredible classes as well which you can check out on the website here. To find out why we highly value education refer to my last blog! 2018 will be a huge year for CUT. We’re excited to share the things we can now, but you’ll have to come back to find out more! Happy New Year! Education is one of the things we do that sets us apart from other hair studios. I feel it necessary to tell you a little bit about this so you can see how cool it is that we take time to do this. Why is education for your designer important? We live in a world that is continually evolving. It’s so vital to keep up on the latest trends and progressions of the fashion world. We’re fortunate enough to have a great relationship with Arrojo who is also very like-minded and values education. And to be a spit shot from NYC is a huge blessing in itself. Did you know that in order to receive a cosmetology license in the state of NJ, you need only 1200 in-class hours and to pass a written and practical exam? The test that you must perform is the same one they’ve been using for decades with only the foundations, the very basic parts of our industry. 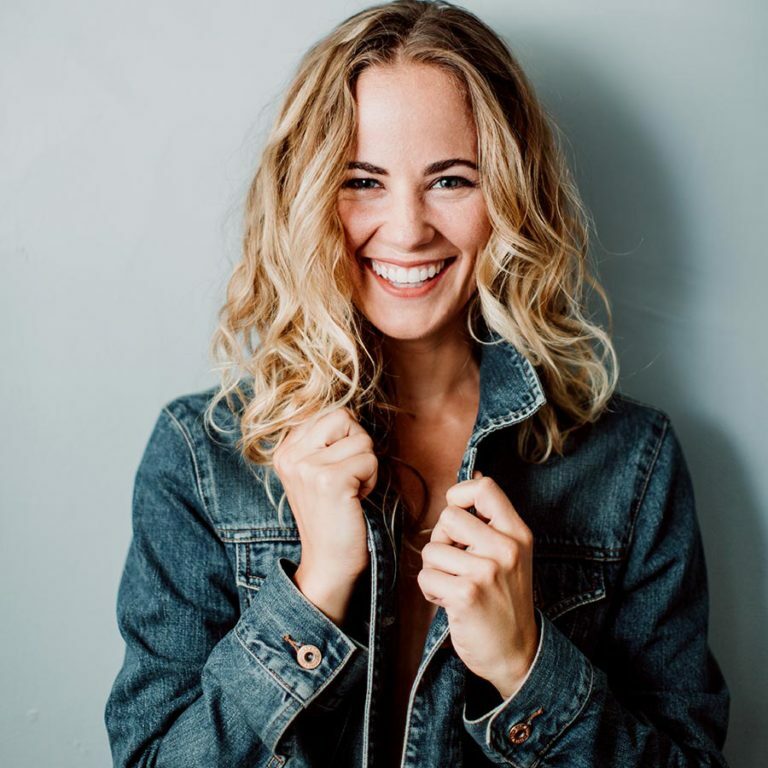 Unless you want finger-waves and pin curls, chances are that someone right out of beauty school won’t be able to help you with your modern hair design. Not a traditional beauty school anyway. Although I do think finishing beauty school is a pivotal part of working in our industry, it’s literally only the beginning. The education journey starts when you finish, and shouldn’t end, ever. At CUT, we’re committed to all of our designers attending a minimum of 6 classes a year! We typically exceed the minimum because we’re so passionate about education. Our apprentices have training weekly with the designers teaching them different tips and techniques in all areas of hair cutting, coloring and styling. That way when they’re done apprenticing, they’ll be able to take care of all your hair needs. Next time you’re in ask your designer what they learned at their latest class and what you can get that’s different from the norm. We’re always learning, always evolving and mastering our techniques so we can keep you having the hottest trends and styles. Not only are we educated, but we want to share our knowledge with you! Starting in the new year we will have additional styling classes for you, our client. Learning to perfect your hair at home so it looks great after you leave the studio too! If you’re interested, please let us know, and we can send you an invite before we open it up to everyone else. We’d love to teach and assist you anyway we can. Spread the word and let your friends know about our education at CUT, because no one should keep something so lovely a secret. See you soon!